LAS VEGAS – Vertiv and Switch, today announced the completion of a licensing agreement for Switch’s revolutionary hot and cold aisle containment technology and cooling systems. These licenses expand the industry-leading Vertiv portfolio of thermal management and integrated infrastructure solutions for large enterprise, micro colocation, and edge data centers. The licenses cover Switch’s patented Exterior Wall Penetrating Multi-Mode HVAC units, known as the TSC®, and the hot and cold aisle containment technology recognized as the Chimney Pod™or Switch T-SCIF®. 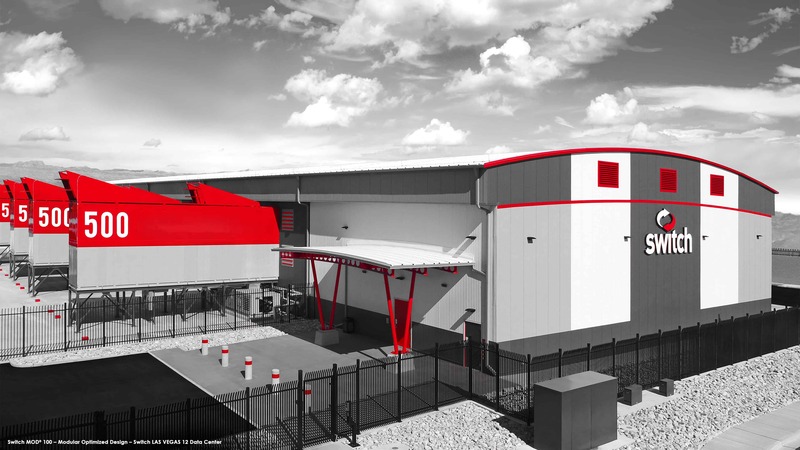 As part of the agreement, Vertiv has secured the first license to construct Switch’s Tier 5® Platinum modular data center solution called Switch MOD®. Switch hot and cold aisle containment technologies enable the industry’s highest cabinet power densities and best audited power efficiency scores. Rob Roy began inventing Switch’s technologies in the early 2000s and holds more than 600 issued and pending patent claims. Switch has obtained regular patent allowances from the United States Patent and Trademark office. For more information on Vertiv solutions for hyperscale, enterprise and edge data centers, visit Vertiv.com. For more information on Switch’s innovative infrastructure designs and worldwide technology offerings visit Switch.com. Vertiv brings together hardware, software, analytics and ongoing services to ensure its customers’ vital applications run continuously, perform optimally and grow with their business needs. Vertiv solves the most important challenges facing today’s data centers, communication networks and commercial and industrial facilities with a portfolio of power, cooling and IT infrastructure solutions and services that extends from the cloud to the edge of the network. Headquartered in Columbus, Ohio, USA, Vertiv employs around 20,000 people and does business in more than 130 countries. For more information, and for the latest news and content from Vertiv, visit Vertiv.com. Switch (NYSE: SWCH), the technology infrastructure corporation headquartered in Las Vegas, Nevada is built on the intelligent and sustainable growth of the internet. Switch founder and CEO Rob Roy has developed more than 600 issued and pending patent claims covering data center designs that have manifested into the company’s world-renowned data centers and technology solutions. The Switch PRIMES, located in Las Vegas and Tahoe Reno, Nevada; Grand Rapids, Michigan; and Atlanta, Georgia (opening in Q4 2019) are the world’s most powerful hyperscale data center campus ecosystems with low latency to major U.S. markets. Visit switch.com for more information.